IS TECH INTEGRATION THE ANSWER TO TRANSPORTATION SECURITY ISSUES? Transportation security has emerged as a top priority for logistics providers and transportation companies as e-commerce demand places greater strains on the industry. As transportation companies invest in infrastructure meant to prepare them for the e-commerce economy, a number of security issues are frustrating operations professionals tasked with protecting valuable cargo, guarding sensitive points of entry, and ensuring the safety of workers and clients alike. 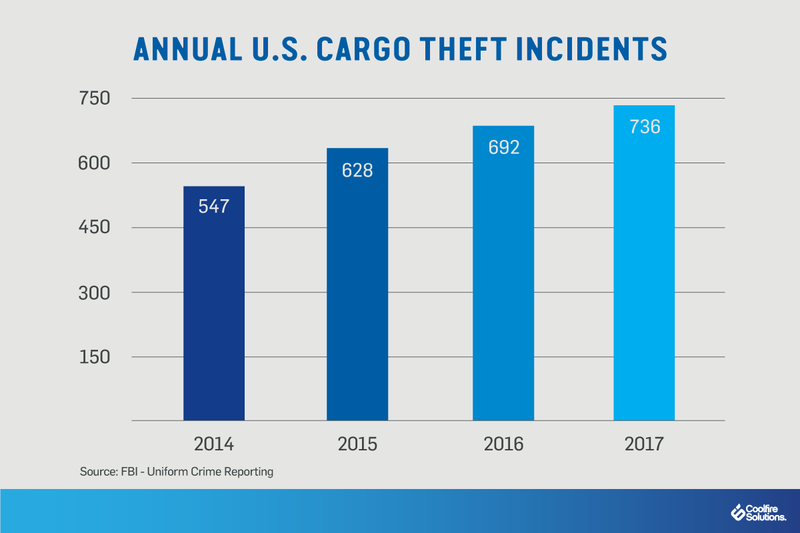 In fact, the FBI reports that cargo theft costs $30 billion every year, making it one of the costliest financial crimes in the U.S. Faced with ongoing vulnerabilities despite investing in assets ranging from cameras and guards to sensors for tracking and protecting cargo, industry stakeholders are looking for solutions that can make the most of existing hardware while providing better transportation security outcomes. As experts evaluate opportunities for improvement in the current transportation ecosystem, solutions for integrating disparate technologies is attracting attention as a viable strategic option. Devoting resources toward cutting-edge technology can make transportation campuses more secure, enabling supply chain professionals to fight theft, unauthorized entry, and a wide range of threats that challenge an increasingly important industry. With stolen vehicles and cargo costing transportation and logistics companies tens of billions of dollars every year, the pressure is on to find solutions that are not only advanced but also near-term and practical. For some security professionals and supply chain managers, this ongoing discussion is likely frustrating. After all, transportation companies have long invested in guards, cameras, and sensors meant to keep an eye on valuable assets. But in order to reduce the exorbitant $30 billion in annual losses, transportation companies need to figure out how to turn raw information into actionable insights — and fast. First, companies should consider investing in hardware that accurately tracks cargo. For example, geofencing can set up an invisible barrier that triggers an alert whenever a certain asset leaves an approved area. Along with GPS trailer tracking that ensures that vehicles are staying on approved routes, this technology can give professionals a clearer picture of where their fleet is at any given point in time. Then, with data integration platforms that connect various hardware, interpret data, and provide clear alerts to key stakeholders, it’s possible to take action based on disparate assets distributed throughout the supply chain. While it’s difficult to pinpoint exactly where the majority of theft occurs on transportation campuses, preventing unauthorized entry is a good place to start. With today’s logistics facilities evolving into sprawling hubs purpose-built for the e-commerce revolution, businesses need to invest in 21st-century solutions. Security cameras and guards are certainly a part of this puzzle, but they can’t do it alone. Instead, embracing emerging capabilities like facial recognition should be a top priority in addition to improving access control to certain facilities and digital assets. With this kind of biometric authorization, it’s easier to ensure that only people meant to be allowed on your campus can actually access it. Likewise, license plate readers can be used to track whether unauthorized vehicles are attempting to enter your campus. Another stage of the supply chain that presents particular transportation security risks is that of loading and unloading. For bad actors trying to steal cargo, this process represents a golden opportunity. Integrating the right tech into your supply chain can close the doors on that opportunity. With smarter cameras and sensors embedded into trailers, for example, security professionals can keep an eye on who’s participating in the loading and unloading process. Additionally, weight sensors on forklifts can trigger alerts if cargo is lighter than usual — a sign that something might be missing. Connected with situational awareness capabilities that sift through this data and make recommendations for those tasked with protecting cargo, these solutions can make it easier to know when and where something might be amiss. While it’s imperative to keep bad actors out, it’s also important for security and logistics professionals to keep hazardous materials contained. Complying with hazmat regulations is important, both to protect workers and clients and to safeguard your business’s reputation as a responsible name in the industry. Accordingly, stakeholders should consider how new technology enables them to monitor the location of dangerous materials and to ensure they are kept separate from other cargo. With the SmartCone, for instance, it’s possible to deploy sensors and alert mechanisms that feed critical information into fog computing capabilities. By doing so, they can detect leaks, spills, and other compromises, warning stakeholders of risks and expediting cleanup efforts. While each of these areas represents a promising new direction in transportation security, they won’t be effective if the data they generate isn’t stored, organized, and analyzed in a common-sense way. 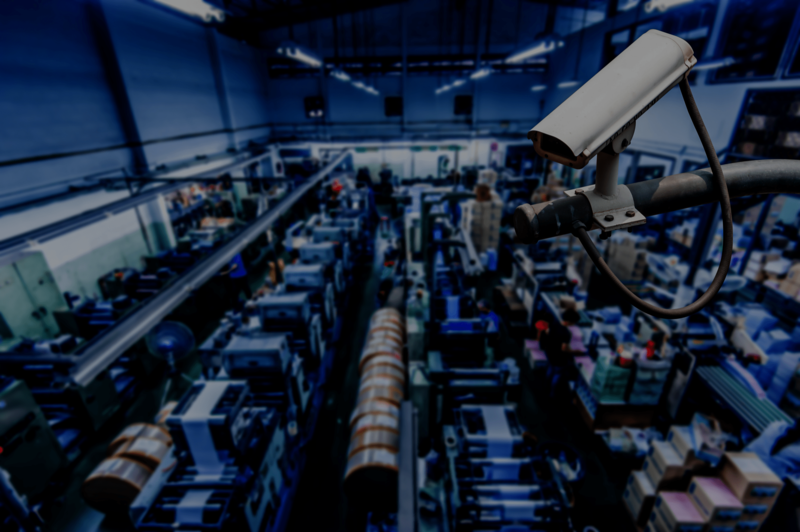 In order to help stakeholders respond to threats and protect key assets, it’s vital that sensors, cameras, access control methods, and early detection systems communicate with one another — and a larger network — in such a way that yields actionable information. For this last piece, situational awareness and data integration platforms will be indispensable. By making the right information available to the right people at the right time — whether they’re behind a computer or in the loading bay — transportation companies can keep their terminals safe, secure their cargo, and protect their workers and clients.